"The pendant I purchased is exquisite! It's unique and delicate. The necklace arrived promptly and was nicely presented." "The pieces are exactly as they appear on the website and the quality is of a high standard." "Thank you, they're just beautiful. I've had so many compliments when wearing my rings. I just love them!" 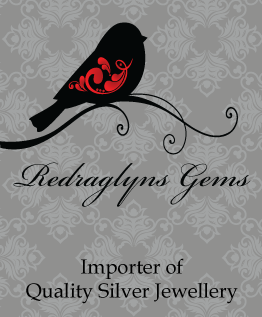 At Redraglyns Gems, we offer you a large collection of lovely sterling silver jewellery. Each piece of jewellery is crafted to perfection, which is why, when you wear our jewellery, you feel truly beautiful.